Management of Spyder Lee Entertainment, organizers of the recently held GN Bank Awards 2015, has announced Tuesday 5th May 2015, as the date for the presentation of prizes to winners of the maiden edition. 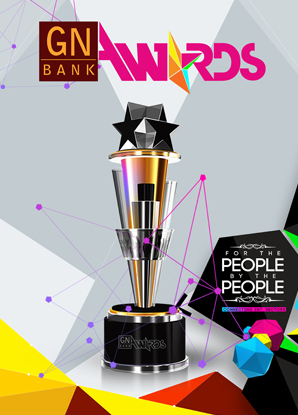 The presentation is scheduled to be held at the Coconut Grove Regency Hotel in Accra and representatives of GN Bank, the title sponsors of the awards, stakeholders within the Arts and Entertainment Industry as well as the winners will be in attendance. The GN Bank Awards is an annual scheme which seeks to award and celebrate players within the Ghanaian Arts and Entertainment Industry who have contributed to the development of the industry as well as those who have excelled in their various fields in the year under review. Spyder Lee Entertainment is an event management, logistics and content creation company has indicated its commitment to contributing its quota to the development of the Ghanaian Arts and Entertainment Industry. The company has hinted on announcing its next big initiative in a few weeks.